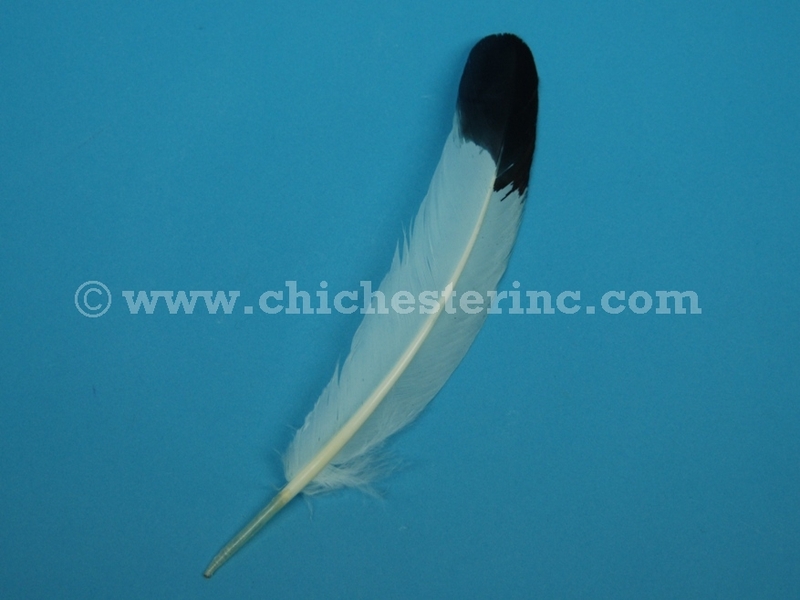 These imitation eagle feathers are white rooster feathers that have had the tips dyed black. 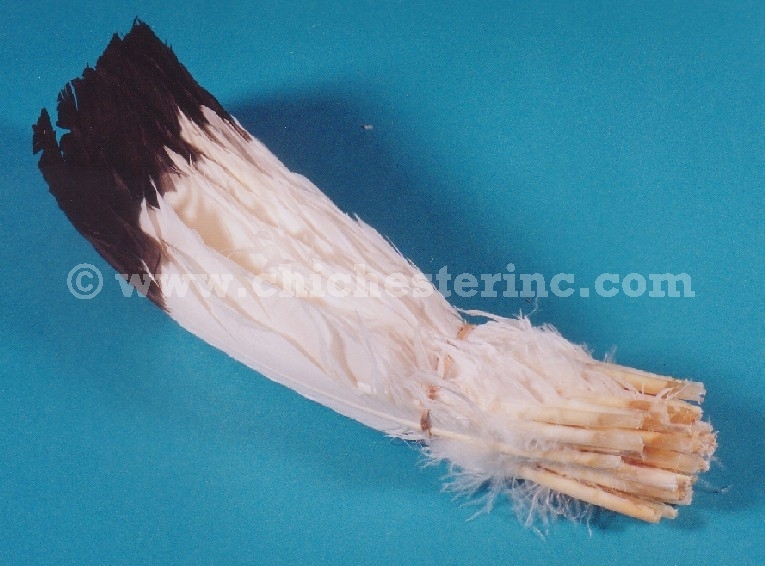 The feathers come as a mix of left and right wing feathers. Click HERE for other feathers.